Scott holds a Bachelor of Communication and Media Production from the University of Canberra. After graduating Scott worked as the production cameraman at Southern Cross Ten where he shot TVC’s, studio programs, and news. Scott then moved into government where he produced corporate and government documentaries. He has shot throughout Asia and the South Pacific. 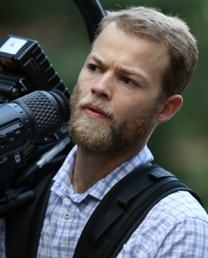 Scott is an award winning filmmaker and has been a Tropfest finalist on numerous occasions. His short films have screened nationally and internationally. Scott is comfortable collaborating with clients on concepts and delivering to creative briefs. His aptitude for working with small crews and tight budgets make him a versatile operator who can move between technical requirements and creative vision. Scott owns his own camera and lighting equipment including a Red Epic camera and Red PL cinema lenses.